HBOSorry Jon. Sansa Stark should be queen. 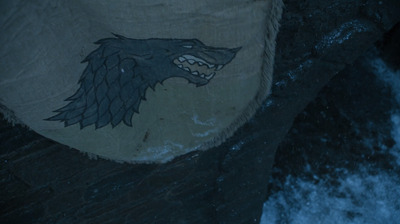 “The Battle of the Bastards” proved to be a violently intense showdown between the Stark’s army and Ramsay’s men. While it also featured Dany proving her strength with the help of her dragons, there was another hero of the night: Sansa Stark. Jon Snow and his army knew they were outnumbered when they met with Ramsay’s army on the battlefield. A barrage of arrows were knocking men down left and right. It wasn’t long before Jon and his men were surrounded by Ramsay’s army. But when it looked like all hope was lost, the army from the Vale arrived and gave Jon and his men the power to press on and gain the upperhand. This was thanks to Sansa Stark and the letter she wrote back in episode seven. 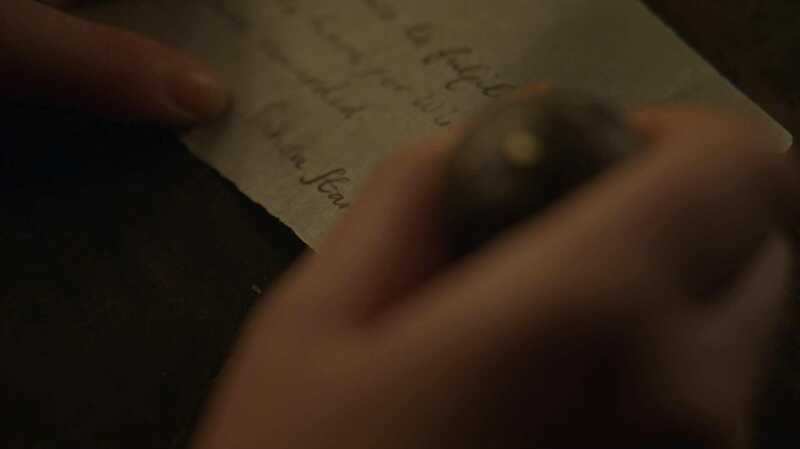 Though at the time it wasn’t made clear exactly who the letter was written to, most fans predicted and deciphered that the letter was directed to Peytr “Littlefinger” Baelish, who helps rule the Vale. And though she initially sent him away when he came to her earlier this season, he answered her call. 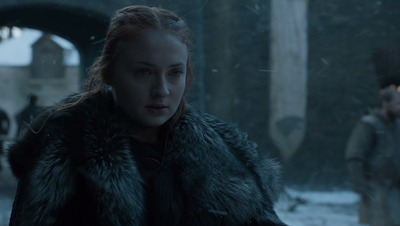 Sure, she might have lied to Jon and kept it a secret, but fans applauded Sansa’s clutch move.
.@GameOfThrones #SansaStark lived up to my expectations. And not only did she help Jon and the army win, she ultimately got her revenge on Ramsay in the most perfect way, by feeding him to his own dogs. Nothing he said mattered anymore. Ramsay: You can’t kill me. I’m part of you. Sansa: You’re words will disappear. Your house will disappear. Your name will disappear. All memory of you will disappear. Ramsay: [realises his hounds are around] My hounds will never harm me. Sansa: You haven’t fed them in seven days; you said it yourself. It was ironic and brilliant. This is a far cry from the Sansa introduced during the first season. Sansa was first introduced as a boy-crazy young girl, caught up in the thrill of a romantic royal romance with Prince Joffrey. He turned out to be the opposite of her dreams, as she watched him order her father’s execution. She was tormented as a prisoner of the Lannisters and was forced to marry Tyrion. Though he never harmed her, she was used by the Lannister family as a pawn in their game. As a prisoner in King’s Landing, she witnessed firsthand how the ‘game of thrones’ is played. She finally escaped thanks to Littlefinger, but just when her life seemed to have some semblance of safety, she was uprooted once again and left to Ramsay. There, she was forced to live in her family’s home and marry a sadistic man who raped and abused her. She’s honestly been through hell and back. Sansa is now a warrior, and she isn’t going back to thena·ive girl she was before. Fans are now calling for Sansa to be queen of the North, or better yet, sit on the Iron Throne. But for now, it’s just great to see that Stark banner raised once more.